On 29 August 1966, Sayyid Qutb, the ideological leader of the Muslim Brotherhood, was hanged in Cairo’s military prison, on the orders of Egyptian president Gamel Abdel Nasser. Qutb and the Brotherhood had, in 1952, supported Nasser when he seized power in a military coup that overthrew the monarchy. In return for his support, Nasser offered Qtub a government post, which the latter declined. The two, however, soon fell out. Nasser, who came to personify Arab secular nationalism, bloodily repressed the Botherhood, declared it an illegal organization, imprisoned and tortured its leaders and eventually executed Qutb. It is worth recalling this history as, half a century later, another military regime, installed after another coup, once again attempts to repress the Muslim Brotherhood with utmost ferocity. Egypt’s current military government, under General Abdel Fattah al-Sisi, has denounced the organization as ‘terrorists’, shot dead protestors by the hundreds, imprisoned dozens of its leaders, shut down its media, and may forcibly dissolve it. 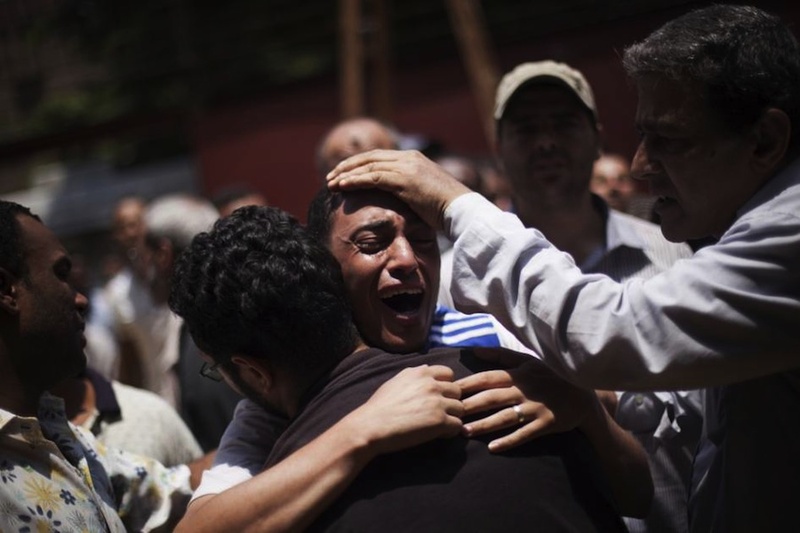 Many have welcomed the military crackdown as signaling the end of Islamism in Egypt. History suggests that this is unlikely. Nasser’s onslaught crushed the leadership of the Muslim Brotherhood, but not the organization. That is why, half a century later, Sisi is following in Nasser’s footsteps, at least in his determination to crush the Brotherhood. In time, after Nasser’s repression, the organization regrouped, created a new leadership, and tapped into the growing popular disenchantment with military rule, becoming the voice of resentment. At the same time, Nasser and his successors, Anwar Sadat and Hosni Mubarak, all recognized that they needed the Islamists as counterweight to more radical secular opposition, and made use of the Brotherhood even as they repressed it. Sadat, in particular, came to a rapprochement with the organization. Faced with violent anti-regime protests from workers and students, Sadat, while formally maintaining the ban on the organization, released from prison many of the Brotherhood leaders and encouraged them to organize against the left. In exchange for allowing the ‘Islamist intelligentsia considerable cultural and ideological autonomy’, the French sociologist and historian Gilles Kepel observes, Sadat expected them ‘to hold the line against more radical groups whose goal was to subvert society.’ Sadat paid the ultimate price for his policy. In October 1981 he was assassinated by members of Islamic Jihad, a group that he himself had encouraged. Sadat’s successor, Hosni Mubarak, maintained this policy of repression and rapprochement. Like Nasser and Sadat, he recognized that his regime needed not just a police state but also a viable Islamist opposition to keep secular radicals in check. During his 30-year long brutal rule, there were deep tensions between secular and religious authorities, tensions that often broke out into violent conflict. But there was also recognition by both sides of their mutual dependence. The current military regime has, like its predecessors, no ideological opposition to Islamism, only a pragmatic desire to cling to power, and a willingness to use whatever tools are necessary to accomplish that. No doubt, some time in the future, Sisi or one of his successors will, like Sadat and Mubarak before them, come to a cynical reconciliation of sorts with the Brotherhood, and exploit it as a weapon against what they regard as a greater threat to their rule. If the current military crackdown is unlikely to signal the end of Islamism, or of the Muslim Brotherhood, the support for the crackdown from liberals and secularists does signal the destruction of the Egyptian revolution. The military crackdown has been shocking in its ferocity. Equally shocking has been the support it has received from ‘progressives’. When the army deposed Mohammed Morsi, many liberals and secularists backed the coup because, they insisted, the military was acting on behalf of the people. When the army imprisoned Morsi, and other Brotherhood leaders, censored its media, and then shot dead hundreds of pro-Morsi protestors, many liberals and secularists justified it as part of the ‘war against terrorism’. Tamarod, the grassroots campaign that played an important role in the anti-Morsi protests prior to his overthrow, urged its supporters to give the army a ‘mandate to confront possible violence and terrorists’ and to ‘support armed forces in its coming war against terrorism’. ‘The people and the army will fight against terrorism’, it proclaimed. The lawyer Amir Salim, a leading light of the revolution, imprisoned nine times by Hosni Mubarak for his human rights campaigning, has welcomed the military repression. ‘The Muslim Brothers’, he told Der Spiegel, ‘are a sickness and the police have to eradicate them’. In massacring hundreds of protestors, the police and the army were not committing mass murder but ‘only defending themselves’. ‘The problem’, he insist, ‘will only have been solved when the last Muslim Brother who causes problems is locked away in prison’. When the military moved against protestors’ camps outside the Rabaa al-Adawiya mosque and in al-Nahda, near Cairo University, killing at least 600 people in the process, Khaled Daud, spokesman for the National Salvation Front, a coalition of liberal and leftwing organizations, refused call it a massacre because ‘the protesters could have left of their own free will’. ‘We don’t condemn what happened’, he insisted. Karima el-Hifnawy, a leader of the Egyptian Socialist Party, similarly justified mass murder on the grounds that ‘This is a violent and armed sit-in, and it is the right of every government to disperse it by law’. ‘Terrorist’ has become the word on the lips of every politician who wants to justify the unjustifiable. How striking it is that Egyptian revolutionaries should defend the carnage unleashed upon opponents of the coup using the same excuse that Bashar al-Assad uses against the pro-democracy movement in Syria. It is true that many of those who initially supported the coup have since had second thoughts. After the military onslaught on the protestors’ camps left at least 600 people dead, the leading liberal politician Mohamed ElBaradei resigned as vice president. ‘It has become difficult for me to continue bearing responsibility for decisions that I do not agree with and whose consequences I fear’, he wrote in his resignation letter. ‘Revolution was for freedom, human dignity & social justice. Challenge to smother tyranny & authoritarianism in all its forms’, he tweeted a few days later. By then, however, it was too late. By having supported the coup, and defended the arrest and imprisonment of Brotherhood leaders, ElBaradei had already given the army moral authority to act as it did. So had Western politicians and activists many of whom had at best been ambivalent about the coup, at worst had actively welcomed it. The Muslim Brotherhood is a reactionary, sectarian organization. As President, Mohammed Morsi tried to steamroller through a constitution that institutionalized discrimination against non-Muslims and criminalized hostility to Islam. There is a long history in Egypt of vicious pogroms against Christians, much of it orchestrated by the Brotherhood. In the violence that has followed the military crackdown, some 47 churches and monasteries have been attacked, many burnt down, and many Christians killed for being Christian. At the same time, liberal support for the military has turned opposition to the Brotherhood equally sectarian. In acquiescing to, even celebrating, the repression and slaughter, too many liberals have come to see supporters of the Brotherhood simply as the ‘Other’, in the same way as the Islamists view Christians. They have forgotten the reason for the revolution, and why we need to oppose the Islamists. So what of the future for Egypt? What the past few weeks have revealed is the weakness of all sides. The Muslim Brotherhood is being crushed without too much resistance, exposing its lack of popular support. Liberal secularists, organizationally weak and politically incoherent, having failed to topple on Morsi on their own, have put faith in the military to do the job for them. The USA, and other Western powers, have discovered that they no longer possess much leverage over Cairo. The power of the Egyptian military has certainly been entrenched, but largely because of the weakness of other social forces. The revolution might have been strangled, but the yearning for democracy and freedom remains. If that yearning is eventually to be harnessed to help create a new, democratic Egypt, revolutionaries must learn the lessons of the current debacle. 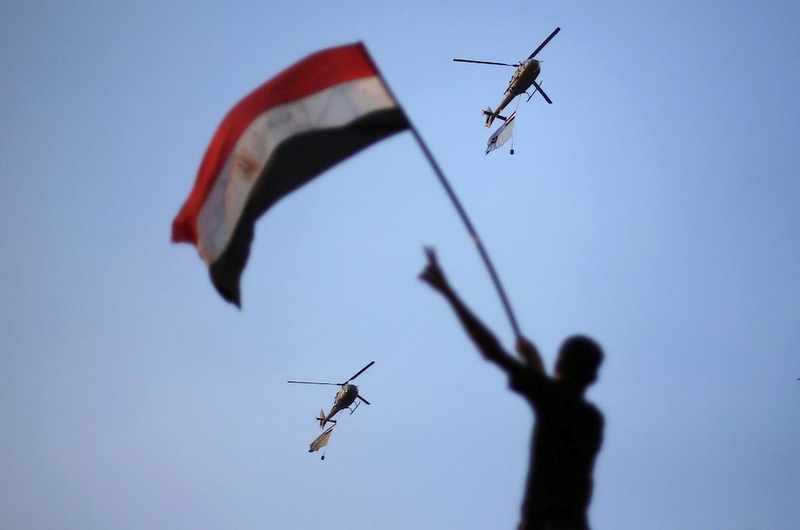 The real destruction of the Egyptian revolution did not come when the military seized power. It came when liberals and secularists backed the coup and justified the repression that followed. Democracy and freedom cannot be wielded in a sectarian fashion. And no one but the people themselves – not the military, not a foreign power – can be the harbinger of change. The cover picture is by Linah Sofi. This is a useful summary. But, just on the basis of what we see in the media here in the UK, I think it misses a key factor: as the BBC’s Jeremy Bowen has said, both sides in Egypt seems to exhibit a “winner takes all” mentality. On the Brotherhood side, that was demonstrated by the way Morsi drove through a constitution which gave unelected religious authorities a say over civil matters, and he seems to have made no effort to govern for all the people. No-one knows what would have happened had he gone through to another election. But, after 80 years waiting to get hold of power, and given Morsi’s behaviour, it’s hard to believe the Brotherhood would have been willing to give it up. The (perhaps apocryphal) Erdogan definition of democracy as like a bus ride – you get off when you’ve arrived at your stop – does seem applicable. So maybe this crisis would have arrived regardless. On the military side, Kenan’s piece makes clear what they’re after. And as he says, those opposing Morsi are quite happy to use force. While I’m sure there are plenty of well-educated, reasonable people in Egypt, it’s hard to see how any sort of democracy can be sustained in an underlying “winner takes all” culture, or how that culture can now change. The difference compared to Nasser’s time is that now there are thousands of well-funded Islamists in Syria, Iraq, Sinai, Egypt-proper and in Gaza. Millenia old Christian communities are facing a pogrom, and Iranian-backed Shia militants are fighting on the other side, with Israel in the middle. It’s hard to be optimistic. Thank you for making matters much more clear. I’m grateful. I do like your comment on this appalling state that there now exist in Egypt at this time and I feel that Jeremy your comment is very helpful one as well. Also I am certainly aware of the persecution of minority groups like the Christians that is being handed and could have been handed out against them in Egypt. The problem is that modernisation is a traumatic process. The West took several hundred years to develop its secular and democratic institutions through a process of trial and error. The time involved squeezing down for Muslims today in Egypt and other places is between 20 and 50 years as compared to nearly 200 years or more for Reformation Europe. I feel that this time compression has added to the instability afflicting Muslim societies, like Egypt today, and that colonialism has made a very difficult start to produce any form of real liberal democracy. Egypt, like most Muslim countries in the post-colonial era has unhealthily been split up into two camps. The elites , such as the Egyptian army, who have received a Westernise style education and have internalise secular values and a large majority who have not. With most political systems in Egypt and other Muslim countries, since the time of their respective independence, having been forced top down on the society in an accelerated manner, not bottom-up via an indigenous process of social evolution, civil society engagement and democratic negotiation like the West. Bruce. the social dynamic within Egypt is more complex than this. It is not simply a case of a ‘Westernised elite’ vs the ‘reactionary masses’. While Islam may have strong roots in Egyptian society, so does liberalism. From the late nineteenth century onwards there have been strong movements in support of secularism and modernity. Egypt also has a strong tradition of working class movements. Working class opposition – strikes, sit-ins, demonstrations – was at the forefront of much of the opposition to Nasser, Sadat and Mubarak and played an important part in the 2011 protests. While Bruce is to some extent correct to say that is taken the “west” hundreds of years to develop “secular & democratic” institutions, there is a certain limitation to the concept of “democratic” because the “west’s” equally long history of imperial conquest. The people at the receiving end of the “west’s” imperial wars, the most recent being in Afghanistan and Iraq are more that somewhat slower to laud the values of these “secular & democratic” values especially when the weapons used by, for example the Egyptian Army to massacre the MB have been supplied by those same people with these values. A little bit more humility would not be welcome. I would totally agree with you Roger but I am reminded of Lord Acton comment which is that the most certain test by which we can judge whether a country is really free is the amount of security enjoyed by minorities.And in this case – the majority ! However if Morsi was still in power would he have given security to the minorities such as the Christians in Egypt ? What a relief to read this cogent and politically sussed commentary on the events in Egypt. 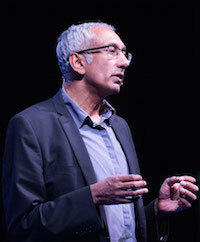 Having just read Ahdaf Soueif’s article in today’s Guardian – a piece alternately exculpatory of the coup and its justifying discourses, and agonising over the dogs of bloody sectarianism it has unleashed – then followed by the Independent’s Robert Fisk’s remarkably detached platform for Anwar Sadat, nephew of the former assassinated president, to muse upon what he clearly sees as a regrettable but necessary course of events, I was beginning to wonder at the readiness of liberals to bury their moral conscience along with the remnants of their political intelligence and historical understanding. A notable exception to that trend was a recent piece by the Guardian journalist Jonathan Steele. As he wrote: “once it has finished with the Islamists, the army will turn on any secular forces that call for freedom and social justice, just as it did in the Mubarak years”. Thank you, Kenan Malik, for expanding upon the dangers for the Egyptian people and exposing the rather witless apologias for the coup coming from those who should be most vigorously opposed to it. Thanks. I agree – some of the liberal apologias have been deeply depressing. This hits the nail on the head “The revolution might have been strangled, but the yearning for democracy and freedom remains. If that yearning is eventually to be harnessed to help create a new, democratic Egypt, revolutionaries must learn the lessons of the current debacle.” Iyad El-baghdadi, has recently said that the biggest mistake of the 2011 revolution was that it trusted in the already existing political structures, rather than handing over power to younger generations. While the latter may have had a worse outcome than the present one, it’s certainly true that at present, change needs to come from the people. 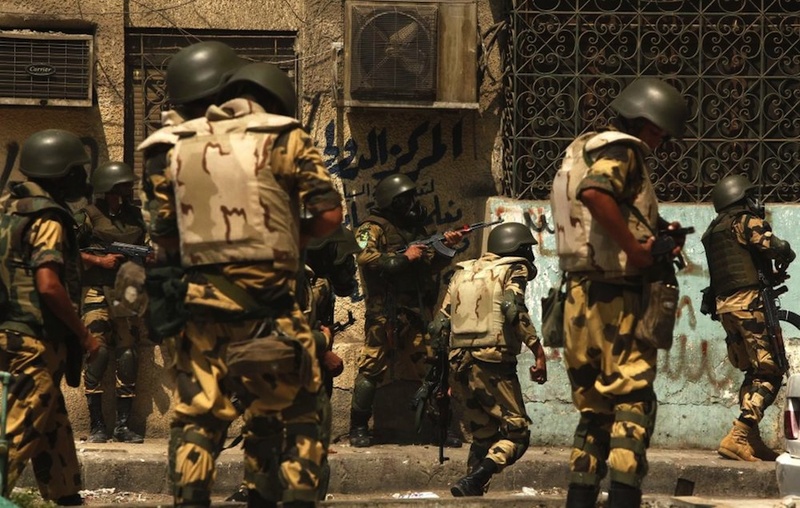 Sadly, the violence between the army and the brotherhood has divided the country into side, eliminating any chance of the outcry of 2011 being heard. Bruce, as an Irish Republican, I would not be one of the first to quote a British Lord in defence of an argument I was making. It is possible that many of the attacks on the Christians in Egypt were black op operations by the military. Even if that is not the case, and they are all attacks organised by the MB, supporting a military coup against a democratically elected government is not an action I support. If the military do succeed in crushing the MB, the next target will be trade unionists and socialists and be assured the EU/US/NATO imperial axis will be even more supportive of their suppression than they have been of the one against the MB.